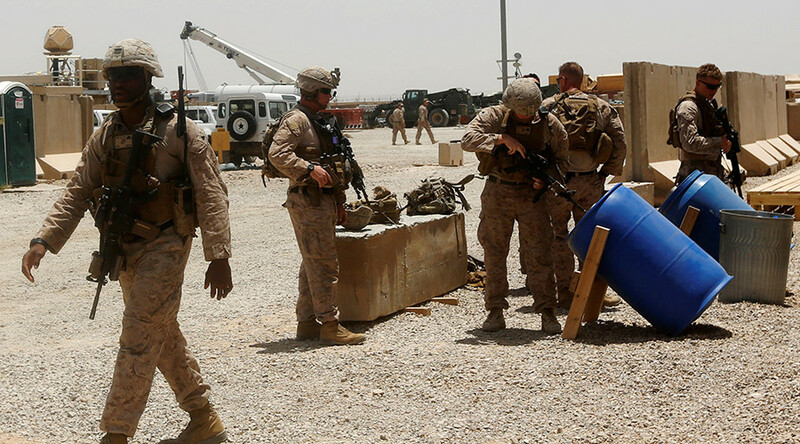 The US war in Afghanistan, even if it’s unwinnable, has lots of military purposes, but none have anything to do with improving the lives of Afghani people or the US troops that are sent there, explains Sara Flounders of the anti-war International Action Center. US Defense Secretary James Mattis announced that over 3,000 extra troops will be sent to Afghanistan in line with President Donald Trump's new strategy. The deployment will bring the US presence to around 14,000 troops. Unveiling the plan in August, Trump asked other NATO members to increase their financial and military contributions to the war effort. RT: What impact do you think these extra troops will have on the situation in Afghanistan? Sara Flounders: Absolutely no impact at all. The numbers have gone up to 100,000 and beyond. They’ve gone down there has been one surge, and then a pullback, and another surge. There are twice as many contractors as officially counted US troops. Then there are lots of other mercenaries and unofficial troops – and none of it makes any difference at all…This is another small surge with no end in sight – with not even the possibility of a plan in sight, except the massive continued destruction for the people of Afghanistan. RT: What do you think was behind Donald Trump's decision to boost the US military presence in Afghanistan, despite previously promising to do the opposite? RT: How do you think people in Afghanistan are going to react to these reinforcements? RT: Do you think it is a good decision sending 3,000 extra US troops to Afghanistan? RT: 3,000 troops is not that many. Is this just a cosmetic sort of thing, or what on Earth could one expect them to achieve? RN: I think the strategy is to not lose. No analyst thinks the US can win the war in Afghanistan. Even though Trump has said “now we’re going to win,” his advisors have said: “No actually the strategy is to not lose.” The strategy is to prevent the Taliban from winning – the strategy is not for the US to win. So they are going to try to fortify Kabul. They are expanding the Green Zone, fortifying the Green Zone. Reportedly they are not going to try to help the Afghan government to retake areas taken by the Taliban – they know they can’t do that. Instead, they are just going to try to defend Kabul.